Edrington Global Travel Retail unveiled its latest Macallan line extension at the Tax Free World Association (TFWA) show in Cannes yesterday (Oct 2). Concept No. 1 (40% abv) is a global travel retail exclusive, which will be available exclusively in Dubai Duty Free from December 1 and selected GTR outlets throughout Asia, Australia, the Middle East, Europe and the Americas from January 2019. With a recommended retail price of US$125. There are just 84,000 bottles, taken from 68 cases. The limited edition, annual, Concept range, of which this is the first, sits between Macallan’s Lumina ($100) and Quest Terra ($165) ranges, with Enigma ($250) at the top. It is made from whiskies matured first in sherry-seasoned oak casks and then for an equal time in ex-bourbon casks. 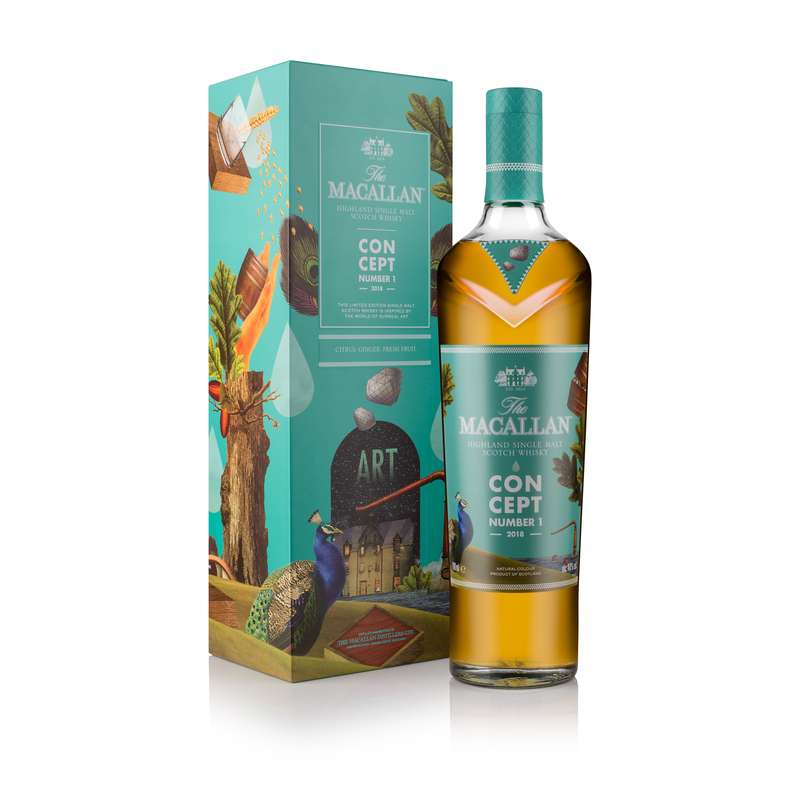 EGTR regional brand ambassador, Keith Neir, told invited journalists that Concept 1 with its artwork by well known French surreal artist, Albert Simone, was the first double matured Macallan. The carton features a surrealist design of The Macallan Six Pillars. The Macallan Concept No. 1 tastes of butterscotch with hints of dried fruit and citrus notes. The citrus flavours are said to become more intense, with sweet orange and lemon bursting through, punctuated by ginger. The soft sweetness gives way to a dry oak finish.